I am building a small home automation system, and one node has a PIR to detect motion, and a Relay Module to control a 240v light with a Raspberry PI 3. The PIR is connected to 5v, and has a resistor bridge on the data line to connect it to GPIO 12. When I connect the Relay Module to the 3.3v, and to GPIO 13, I can control the relay, but after a few days, the PIR starts to falsely trigger every 2 minutes. I get the feeling that the Relay has been wired up incorrectly, but not sure of the solution. I suspect I will have to connect it to the 5v power pin, but then I will need a transistor bridge (not sure of the resistances needed) on the GPIO out to toggle it (at the present 3.3 output, it doesn't trigger the relay when powered on 5v). I was under the impression that as it was a module, it would have most of the necessary components built in, but possibly not. I can see a diode on there and some other components, but I'm not sure if it takes care of switching on a different voltage (3.3v on a 5v circuit), but as it appears to work on a 3.3v circuit, it be sufficient. But given the fact that the PIR is having issues suggests that it is not getting enough power. Can anyone recommend how to wire it up properly? 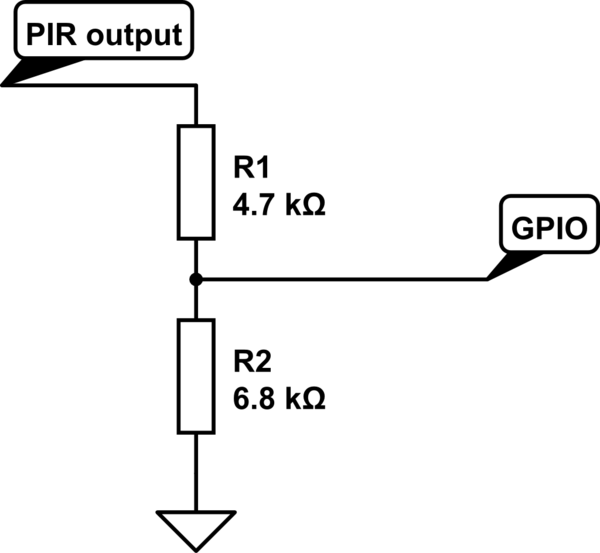 Browse other questions tagged gpio pi-3b+ relay or ask your own question. Relay and Raspberry Pi connection advice?